Glaucoma refers to a group of eye conditions that lead to damage to the optic nerve. This nerve carries visual information from the eye to the brain. In most cases, damage to the optic nerve is due to increased pressure in the eye, also known as intraocular pressure (IOP). For more information feel free to call us at Burnsville Family Eye Care! LASIK is currently the most popular vision-correcting or “refractive” surgery available. 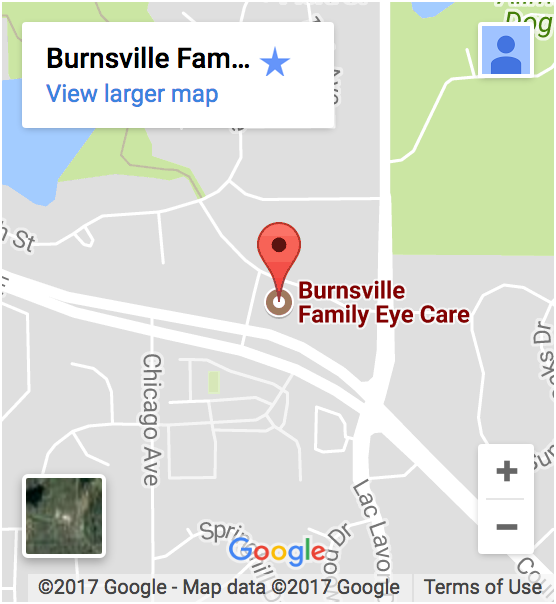 If you suffer from astigmatism, the Burnsville Family Eye Care clinic can help! Ask your Burnsville, MN eye doctor about astigmatism diagnosis and treatment options.